Description: Heavy duty 18 oz/sq yard laminated vinyl backdrops feature 1 1/2" finished width binding on all edges and grommets on 1' centers across the top edge; Made to order in custom sizes. Available colors include black, gray, royal blue, yellow, green and red. Extend the life span of your batting cage or baseball net by patching small holes or tears with our batting cage repair kit. Includes: Splicing needle loaded with #36 twine and a 3' x 3' piece of #36 nylon, 1 3/4" mesh with directions on how to access repair instructions at carronnet.com. 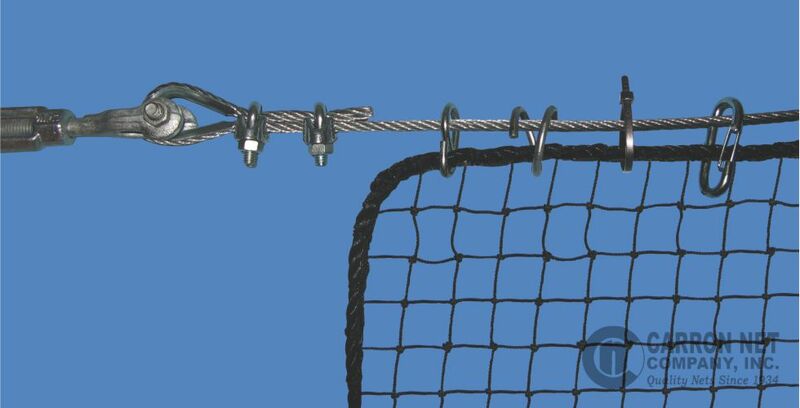 Carron stocks a full line of netting and cage installation hardware including turnbuckles, thimbles, cable clamps and galvanized steel cable along with attachment hardware including tie wraps, snap hooks, "S" hooks, quick loops, and nylon twine. Heavy duty steel frames for protection in the cage and on the field. 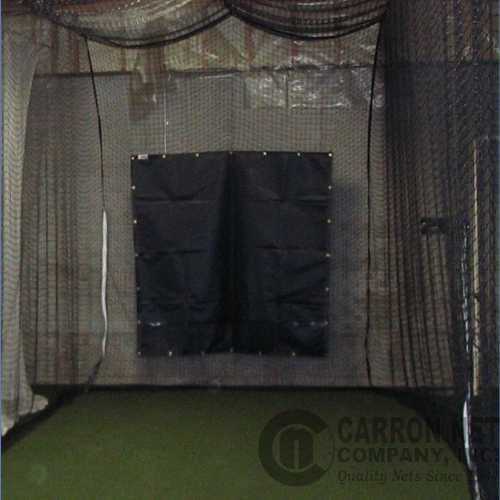 Replacement slipover-style nets for any size screen are also available.